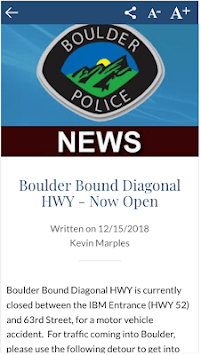 Boulder Police Department: news, alerts, resources & more. 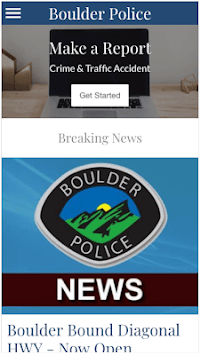 Data Privacy: The Boulder Police Department mobile app does not collect specific user data. 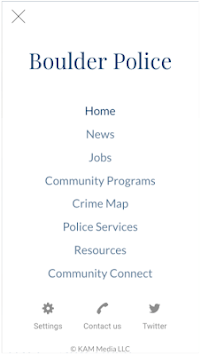 Administrators can only see summary data, such as: total number of downloads, and other statistical data, such as number of page views.